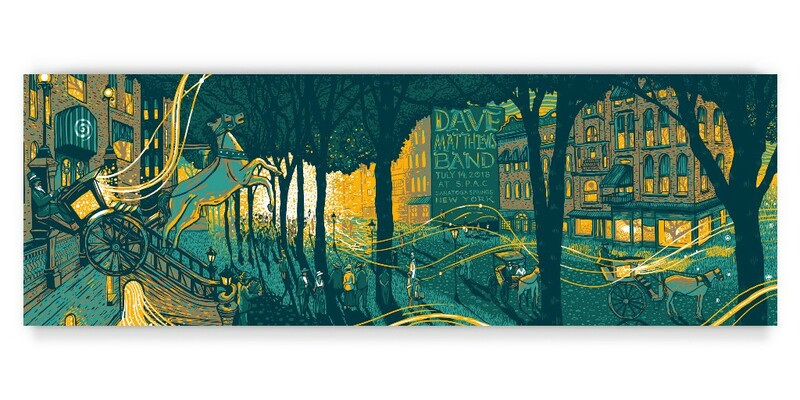 Thank you for all the kind messages about my recent Dave Matthews Print. It's always fun to create Saratoga Springs pieces inspired by my time living there. I lived in the Algonquin building on Broadway and I remember sitting on my windowsill watching people up and down broadway all day during the summers. So this piece is a tribute to that beautifully unique time capsule of a town. 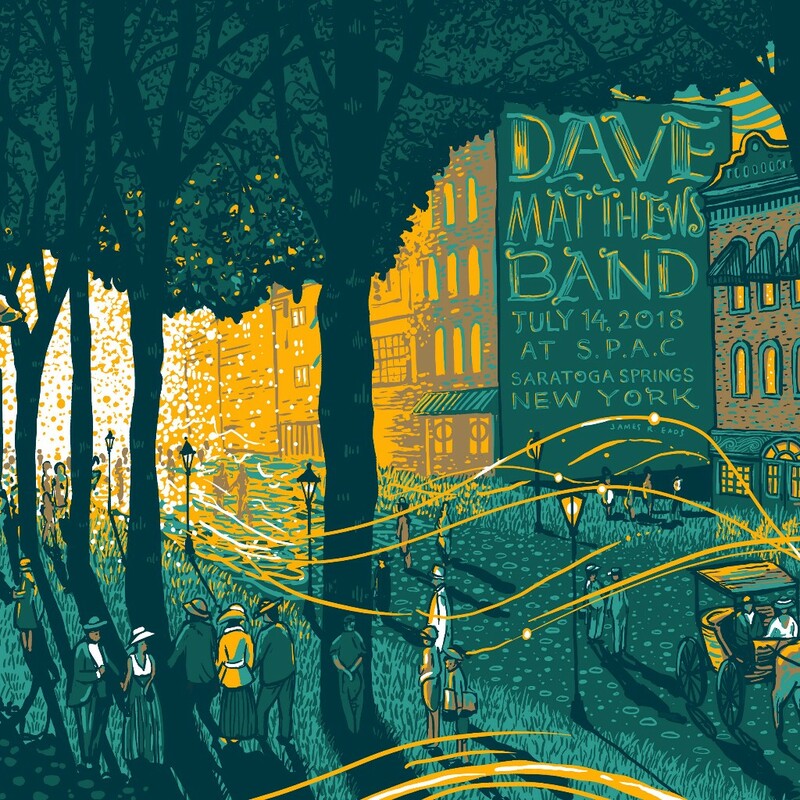 "Don't Block the Light" is a 12" x 36" 5 color screenprint for the Dave Matthews Band Show in Saratoga Springs on July 14th, 2018. The original edition of 1100 sold out at the show. These prints are signed and labeled "AP" in an edition of 120. I believe the posters at the show and the warehouse sold out so this is the last available batch. Because of the high demand I am limiting it to one poster/order. P.S: There are only a few prints left in the edition of "Only the Rain Knows"!